The merger of four galaxies in the Abell 3827 cluster. The blue contour lines indicate the density of the dark matter clumps around them, and the clump for the galaxy on the left is lagging behind it. Image: ESO/R Massey. For years, dark matter seemed to do nothing. It had mass and therefore could influence space gravitationally, but there was no evidence of it interacting with anything else in the Universe in any other way, which made it incredibly frustrating to study. Then, in 2015, a breakthrough occurred: for the first time a clump of dark matter was seen to interact, however tenderly, with another clump of dark matter. This was big news. Why? Although we still do not know what dark matter is, if scientists can measure its interactions, however weak, they can start to narrow down the possibilities of what dark matter could be. Astronomers led by Richard Massey of the University of Durham observed a four-way galaxy collision at the core of the Abell 3827 galaxy cluster, which is located 1.3 billion light years away. 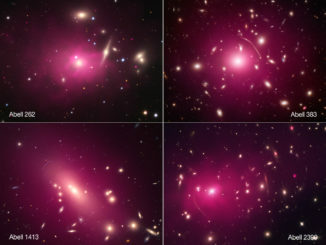 Massey’s team were able to measure the locations of clumps of dark matter around each of the galaxies, by way of gravitational lensing – how the gravity of the dark matter bends light. 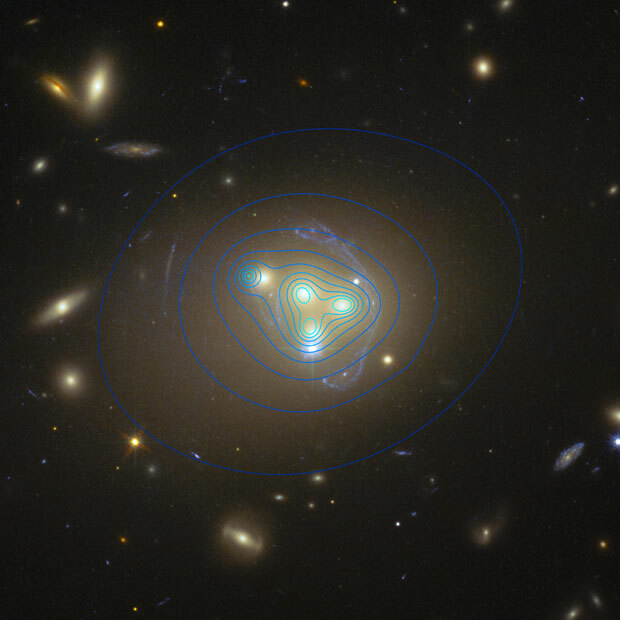 They found that at least one of the clumps was offset from its galaxy by about 5,000 light years, caused by the clump interacting with the larger dark matter halo present within the cluster. It is only a relatively tiny interaction, but it pours cold water on the theory of ‘cold’ dark matter, which posits that dark matter particles should not interact at all. Instead, other theories of dark matter predict that a force can exist between particles of dark matter, and this may very well be the first measurement of that force. At number 10 in our top stories of the year: one of the most perplexing problems of modern cosmology and astrophysics was solved. 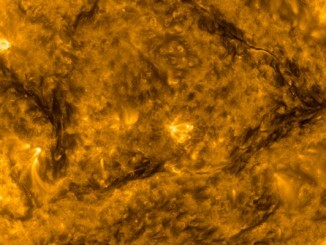 For decades scientists had puzzled over where all the lithium in stars had disappeared to. Fortunately for the Big Bang model, Italian scientists at the International School for Advanced Studies in Trieste discovered that it was the stars that were to blame. 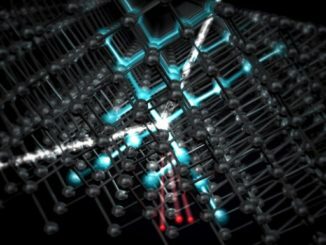 The U.S. Department of Energy has approved funding for construction of the most sensitive detector ever built, located in a Canadian mine a mile down, to search for evidence of weakly interacting massive particles, or WIMPs, a leading dark matter candidate.